Eva Kallay, Sebastian Pintea, Csaba L. Dégi: Does knowledge of diagnosis really affect rates of depression in cancer patients? Csaba L. Dégi: What are the ensemble benefits for society from psychologic and empatic aid, offered to patient during the breast cancer treatment? Cancer disclosure: Romanian oncologists’ and patients’ assessment do patients know when their doctors don’t? Csaba L. Dégi: What are the key challenges for patients living with and beyond cancer in Romania? IPOS presents this online lecture series of ten webcasts, funded by the European School of Oncology (ESO). In 2008 APSCO`s PI was involved in the Best Practices Exchange in Psychosocial Oncology Summit, organized by the National Association of Social Workers (NASW) and Cancer Care from United States, held at the University of Debrecen in Nyiregyhaza, Hungary. The Summit funded by Bristol Myers Squibb Foundation was successful and PI was invited to contribute to the NASW WebEd credited course “Understanding Cancer Caregiving: The Social Worker’s Role” which is singular among international courses offered by NASW WebEd. You can access it here in English and Hungarian: http://www.naswwebed.org/. 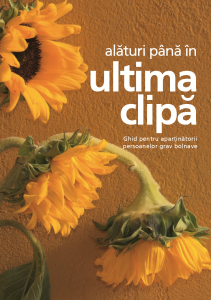 Reviewed by clinical psychologist Farcaș Raluca and published in the PALIAŢIA – Journal of palliative care in 2017. Review in Romanian and English. Proiect realizat de psiholog clinician Margit Orsolya în colaborare cu Asociația Pentru Servicii și Comunicare în Oncologie.